6. Is Your Soul For Sale? 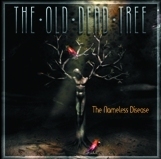 Since its creation in 1997 by Manuel Munoz (Vocals, Guitars) and Nicolas Chevrollier (Guitars), THE OLD DEAD TREE always stood apart in the current European metal scene thanks to its unique musical identity: a style which combines extreme metal and dark rock / pop with exceptional vocals, gliding from one style to the next. By 1999, this was already clearly evident, when Frédéric Guillemot (Drums) and Vincent Danhier (Bass) decided to join and secure the line-up. 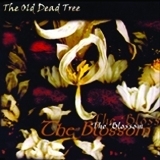 The press and fans enthusiastically praised and welcomed the band’s first release: a mini-CD, “The Blossom”. This promising debut took a sudden tragic turn, when Frédéric Guillemot committed suicide just a few months later. The band members were inspired to exorcise the dramatic loss of their close friend by expressing the darkest feelings and frustration this trauma provoked in a new concept album. The result was “The Nameless Disease”, produced by Andy Classen (LEGION OF THE DAMNED, DEW SCENTED, DIE APOKALYPTISCHEN REITER, DISBELIEF, GRAVEWORM…) and mastered by Goran Finberg (IN FLAMES, OPETH, DIMMU BORGIR…), an album which carried a powerful, aggressive and modern sound. In 2002, the band signed a deal with Season of Mist which finally gave Frédéric’s epic eulogy a proper release. 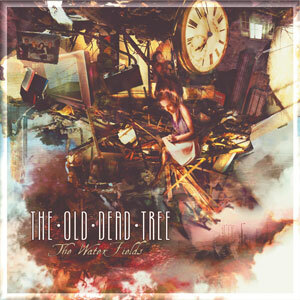 THE OLD DEAD TREE performed several shows and toured at various festivals for the record, with the likes of OPETH, KATATONIA and PARADISE LOST. Franck Métayer, at the drums since 1999, decided to leave in 2004 in order to devote himself to his personal life. He was replaced by Foued Moukid whose debut performance with the THE OLD DEAD TREE appeared on the 2005 album, “The Perpetual Motion”. The band played at several high profile festivals over the summer of 2005 to promote the album’s release, including at “Summer Darkness” (NL) and “Fury Fest” (FR) alongside SLAYER, ANTHRAX, MEGADETH, LACUNA COIL, NEUROSIS and SOILWORK. Sophomore album “The Perpetual Motion” was fully produced by Andy Classen at the Stage One Studio (Germany) and the collaboration proved to be particularly successful. The album received raving reviews late Summer 2005. Throughout the fall and winter of that year, THE OLD DEAD TREE hit the road with Dutch gothic metallers EPICA for a full European tour, and performed several shows as headliners in France and the Benelux. On May 2006, guitarist and founding member Nicolas Chevrollier called its quits to focus on his family, as he would soon become a father. The strong friendship binding the members of the band made the decision particularly difficult. A replacement was found in Gilles Moinet (main composer of doom metal act LUX INCERTA), a man with a deep sense of melody who quickly found his place and brought new influences to THE OLD DEAD TREE.